​The Annual Giving Campaign is our biggest and most important fundraiser of the year. Contributions received through the Annual Giving Campaign are the primary source of funding for the education and arts programs, grants, and school community events that help to create the high-quality learning environment at Del Mar Heights School this school year. Each year, every classroom at the Heights is challenged to meet a specific participation target. If you do not wish to make a monetary donation this year, but would like to help your child(ren)’s classroom(s) meet their participation goal, please fill out the form below. If you do wish to make a donation, click HERE. Each family’s donation will count toward the classroom challenge for each student in the family. Please be sure to indicate each student's name, teacher, and grade level to ensure that each student's classroom receives credit for purposes of the classroom challenge. ​​The Del Mar Heights PTA is a 501(c)(3) nonprofit organization (Tax Id# 33-0708127). A portion of your contribution may be tax-deductible. Please consult your tax advisor. Giving to the PTA is separate from your contribution to the Del Mar Schools Education Foundation (DMSEF). 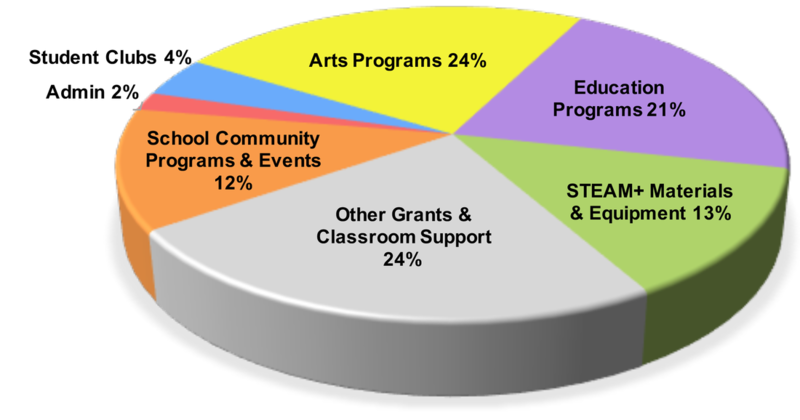 ​Click HERE to learn more about where your money goes for the PTA and the DMSEF.